Twenty years ago today the University of Georgia started its first National Association for the Advancement of Colored People chapter. UGA’s NAACP members celebrate the milestone this week. 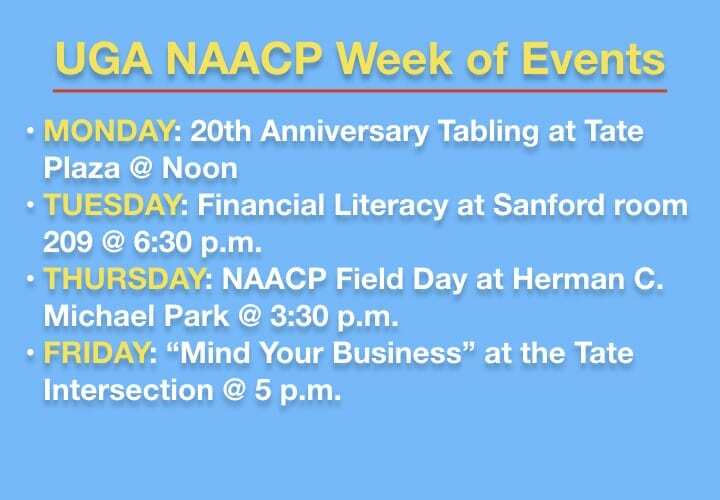 Here are the upcoming events for UGA’s NAACP Week.